I cleaned the block surface with a razor blade, Scotchbrite pads, and WD-40. I also used some degreaser with a hose to clean out the coolant passageways which were covered in white crud, probably from the Blue Devil sealer. 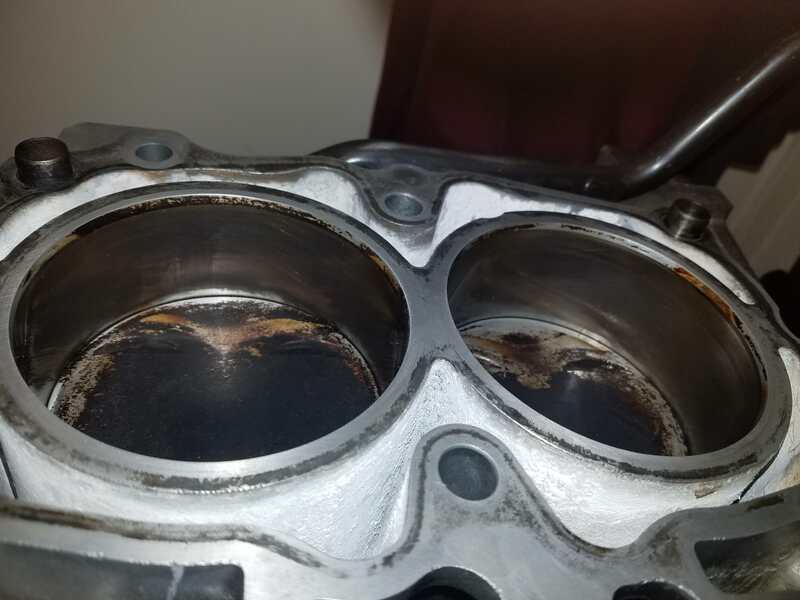 There was some green dust from the Scotchbrite pads, but I hosed it down again with some degreaser, then used a bunch of WD40 in the cylinders, bolt threads and oil passages. I used a machinist's straight edge and some feeler gauges, and it looks like the block is MOSTLY flat within .002". The heads have been sent out to be rebuilt by a shop. I think they're doing a valve regrind, resurfacing, and something else. They quoted me $330. I bought the Six Star MLS headgaskets. I'm hoping I've prepped everything OK. What do y'all think? Last edited by Travisimo; 04-26-2018 at 11:25 AM..
bumping because i've heard its not good to clean with scotchbrite. 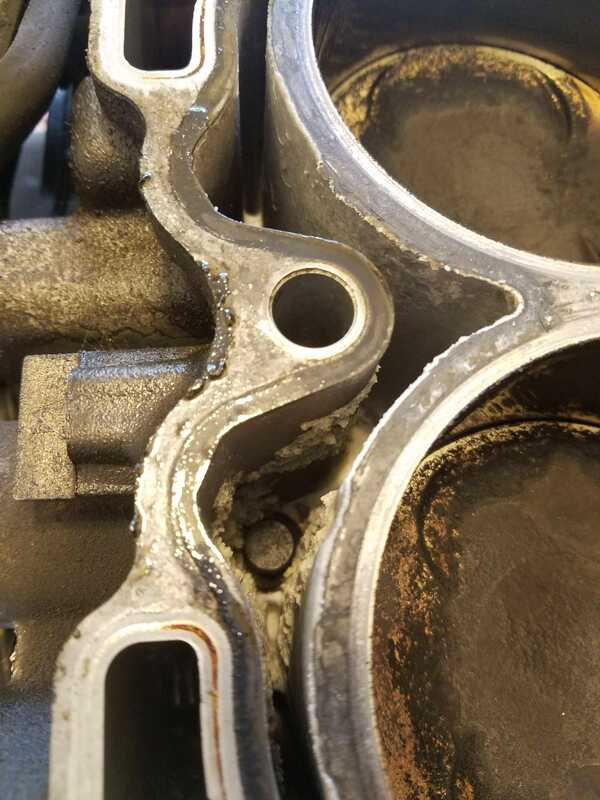 It needs to be much cleaner than that, if you put that motor together you'll have issues. Use a non-marring flat tool like a planed piece of wood or a durablock (i use a 16" durablock like this) and 800 grit wet sanding paper, then just work the block and head surfaces evenly until theres no gasket material left, dont push hard just let the paper do the work but keep it wet with water or a little soap/water, and rise the surface and paper often. Once its clean you should *almost* see your reflection in the surface, but that finish with 800 grit is fine. Last edited by Bansheeboy11; 04-16-2019 at 08:18 AM.. I hope it's going to be ok. Thanks for the wisdom and direction gentlemen. I created this thread about a year ago. I might try to pull the motor again this summer and do it right. I've had great luck using a block of wood and adhesive roll sandpaper. 600 - This is what I use.